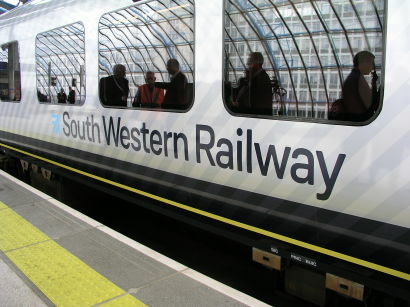 THE RMT has said it will stage a further 24-hour strike on South Western Railway on 22 December, after talks over on-train staffing remained deadlocked. The news came as the union prepares another walkout on Northern tomorrow (8 December) after talks with Arriva also failed to make progress. RMT general secretary Mick Cash said: ‘South Western Railway continues to refuse to make any progress at all in resolving this dispute, which is about safety, security and access on South Western Railway. The company are hell bent on opening up a loophole that would allow them to run services driver only at their discretion. South Western Railway has yet to comment. The latest walkout on Northern tomorrow is part of a series of Saturday strikes which are set to continue until the end of the month.